Advanced manufacturing technologies (AMTs) combine novel manufacturing techniques and machines with the application of information technology, microelectronics and new organizational practices within the manufacturing sector. They include "hard" technologies such as rapid prototyping, and "soft" technologies such as scanned point cloud data manipulation. AMTs contribute significantly to medical and biomedical engineering. The number of applications is rapidly increasing, with many important new products now under development. Medical practitioners interested in implementing new advanced methods will find Advanced Manufacturing Technology for Medical Applications invaluable as will engineers developing applications for the medical industry. Academics and researchers also now have a vital resource at their disposal. 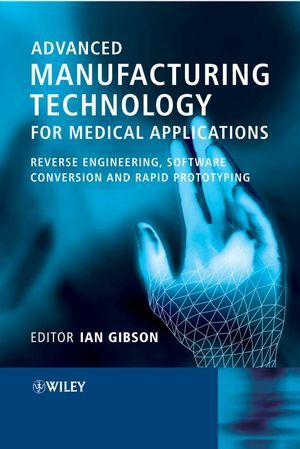 Ian Gibson is the editor of Advanced Manufacturing Technology for Medical Applications: Reverse Engineering, Software Conversion and Rapid Prototyping, published by Wiley.